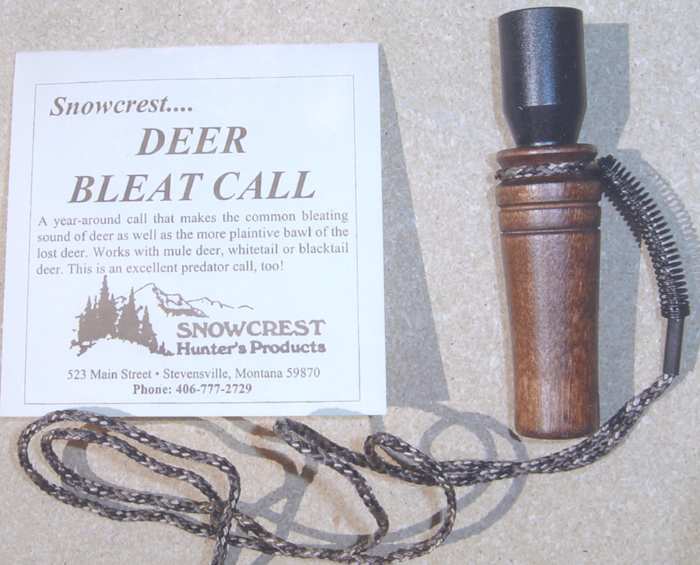 Makes the plaintive, almost mournful sound of an injured or lost fawn – an excellent call to attract other deer. 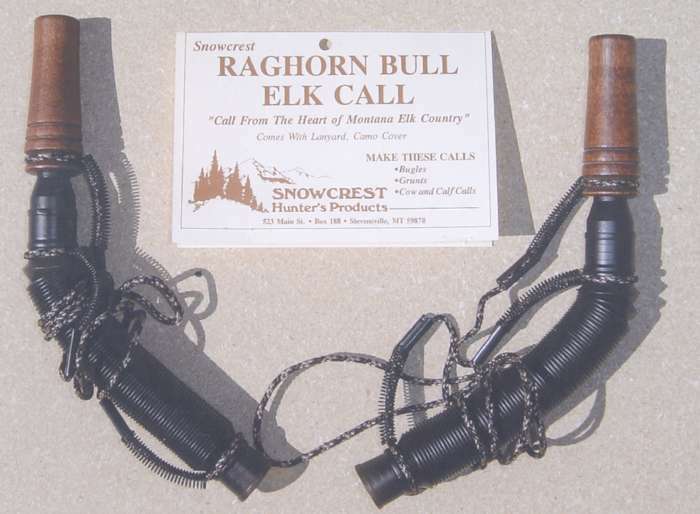 It can be used year-around and works with mule deer, whitetail or blacktail deer – and it’s an excellent predator call, too. 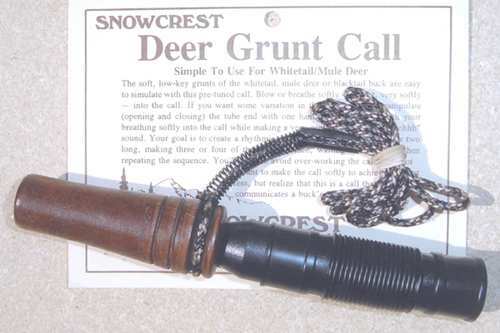 Tightly constructed with a muzzle of walnut to create good sound. 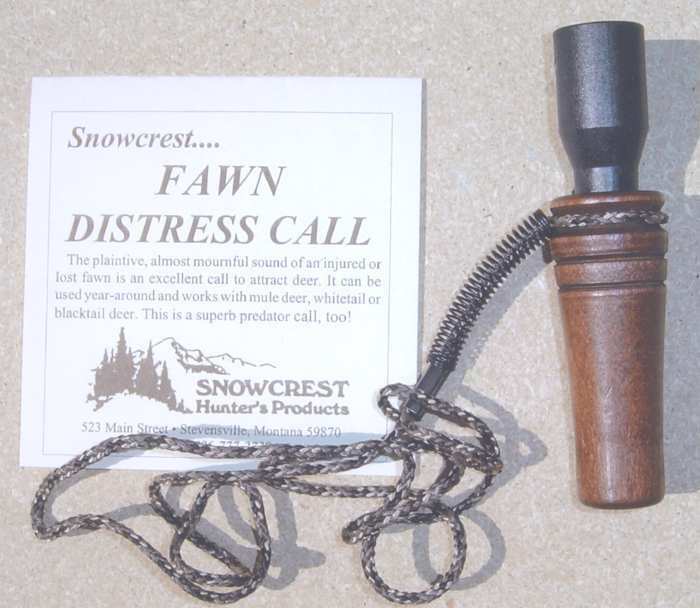 To make the fawn distress sound with this call, you blow steady but varied air pressure into the tube to create a series of frantic, mournful cries – while cutting one hand on the open end of the call to change the tone and pace of the call by alternately opening and closing your hand. This is a call you can be aggressive with because the injured fawn is often frantic in crying for help – much like an injured rabbit is. This is a good all around call for medium predators such as fox and coyote and large predators such as cougar and bear. Comes with a lanyard.